Some days you just want to slack off and tell yourself that you're just too beat to work out. Before you head for the sofa, try one or more of these quick energy-boosting techniques to get you back on track. The demands of day-to-day life can sap your energy just when you need it most—for your daily workout. Once we reach the gym and get in a couple of reps, we seem to find the energy to focus on our workout. But for many of us, simply getting to the gym in the first place is our biggest challenge. The next time you're having trouble getting motivated, try one of these six great strategies to help you prepare mentally and physically to crush workouts you didn't think you could even start. Slugging down a cup of Joe before your workout not cutting it anymore? 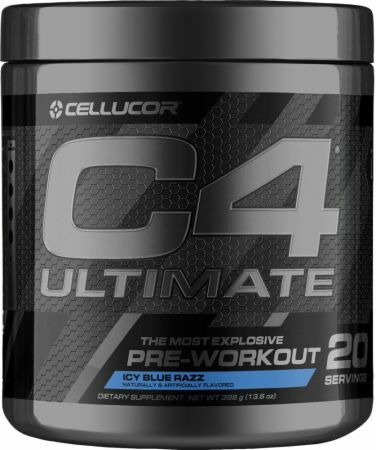 Up your game with a scientifically formulated pre-workout product. Chris Lockwood, Ph.D., CSCS, adjunct science editor for Bodybuilding.com and president of Lockwood LLC, recommends that when caffeine is used in a pre-workout, it should typically be dosed so that you get at least 1.36 milligrams of caffeine, but not more than 2.5 milligrams, per pound of body weight. If you weigh 150 pounds, that works out to about 200-375 milligrams of caffeine. If taurine and caffeine are both present, the data is less clear, but most evidence supports that the more taurine present, the better the effects on performance. Some trainers say that the best way to get more energy for your workout is to take it outside. "Like most people, I spend a lot of time sitting inside at my computer," says Cellucor-sponsored athlete and WBFF pro Jen Jewell. "The last thing I want to do some days is go from being inside working on my computer to being inside at the gym." Jewell notes that the combination of the fresh air and natural sunlight gives her an energy boost after being inside all day. "Plus, there's the fact that working out outdoors is fun!" she says. "I always get far more energized walking or running outdoors than I do inside working the treadmill." Get creative and see what you can come up with for an outdoor workout. Maybe you could get friends or coworkers to join you for an outside team sport, take a walk, jog along local trails, or create an outdoor bodyweight circuit. Next time you're feeling the energy drain, stop and visualize perfect execution and success on the lift you want to hit. Imagine the feeling you'll experience when lifting that weight up. Experience the rush of knowing all your training has paid off. Just by visualizing success, you can increase your body's testosterone response, which provides both a mental and a physical benefit. The confidence you gain by crushing the lift can further elevate your testosterone response, while any doubts you have about the lift can literally send it in reverse. Finding a workout buddy or qualified personal trainer can help you work out more consistently—and give you extra energy to crush your workout. For many people, working out with others helps boost their mood and outlook. You may chalk up the energy and relaxation you feel on the weekends to not having to work, but don't discount the positive influence others can have on you. When you're being social and having fun, you naturally feel more energized. Use this principle in your workout sessions as well. Just be sure you aren't doing more socializing than working out when you bring your buddy to the gym. When you head to the gym without a firm plan in place, you might not feel very motivated. 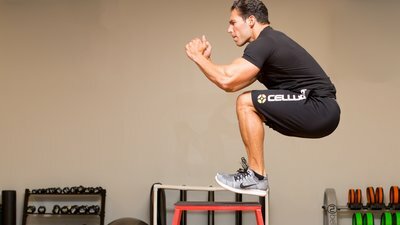 For Cellucor-sponsored athlete and IFBB pro Craig Capurso, maximizing energy in the gym comes down to knowing what he wants to achieve in each session. He says to set a firm goal so you have a reason to get to the gym and hit it hard. "Energy, or even the illusion of it, starts with your mind," Capurso explains. "If you're performing a workout without clear focus, your execution will be unfocused, too. Instead, set clear workout goals in terms of what exercises you'll do, what weights you'll use, and how many reps you'll do. Set specific goals, and you'll be more motivated to hit them." At the same time, don't become a slave to your routine, he says. If you feel yourself drawn to another lift, go for it. Changing your exercise order or selection can keep your workout interesting and engaging. So can doing something radically different while in the trenches of a killer workout. Allow yourself to change things up and take advantage of the energy and mood your workout has created. In other words, it's great to have a plan, but plan to allow for change. Otherwise, you're likely to find yourself getting frustrated and emotionally drained when things aren't going according to plan. Finally, if your nutrition is not up to par, whatever you do prior to your workout won't be enough to get you going. To prepare for exercise, many people feel best when they consume a meal that contains high-quality protein and complex carbohydrates an hour or two before a workout. How much fuel you'll need will depend on the workout you've planned, your goals, and your body weight. In general, aim for 25-50 grams of protein and another 25-50 grams of carbohydrates per meal. If you can't eat 1-2 hours before a workout, don't sweat it. If you train midday or after work, you should be in good shape if you had a quality meal about four hours before your workout. If you work out in the morning, you should be fine as long as you had a good dinner and pre-bedtime protein shake the night before. If it's time for you to train and you just haven't had time to have a full meal beforehand, you can always reach for your trusty shake containing BCAAs or whey protein. If it has some carbs in it, you should be good to go. If you do eat a pre-workout meal, avoid foods that are high in fats, simple sugars, and fiber because they can make you feel tired, sluggish, or bloated just when you need energy the most. McLellan, T. M., Caldwell, J. A., & Lieberman, H. R. (2016). A review of caffeine’s effects on cognitive, physical and occupational performance. Neuroscience & Biobehavioral Reviews, 71, 294-312. Lim, Z. X., Singh, A., Leow, Z. Z. X., Arthur, P. G., & Fournier, P. A. (2017). The Effect of Acute Taurine Ingestion on Human Maximal Voluntary Muscle Contraction. Medicine and Science in Sports and Exercise.